When you want to ditch the ocean and want the freedoms of a vacation rental over a hotel, consider a family lake vacation for your next trip. No matter your budget or family size, there is a lake cabin or house by the water waiting for you and the kids to visit. These are our picks for the best lake vacations for families. The 11 lakes in New York offer excellent family lake vacation rental opportunities in several different towns. Smaller one- and two-bedroom family cottages are in abundance at the Finger Lakes, but larger houses with four-plus bedrooms can be found as well. Many of the family lake house rentals feature a lake view and fireplace, and a pool can be found at some, too. A Finger Lakes family vacation offers the opportunity to bike; hike; cruise on the water in a boat or kayak; tour a museum, state park or zoo; or play at an amusement or water park. Of course, mom and dad will love the wineries, too. This Virginia lake features 500 miles of shoreline and lots of water sport activities like boating, tubing, wake boarding, parasailing and fishing. The cost of Smith Mountain Lake vacation rentals varies based on the size of the rental with larger, four-plus bedrooms on the higher end and two- or three-bedroom condos or lake cabins on the lower end of the price range. 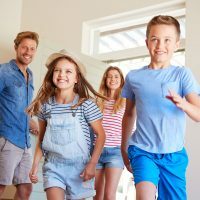 But if the kids aren"t in school, renting mid-season (May or September) offers family lake vacation renters lower rates with plenty of warm weather still in the forecast. Deep Creek Lake rentals range from one to 10-bedroom cabins, houses, cottages, villas or condos. Many (if not all) of the family lake vacation rentals offer lakefront views, along with a pool, hot tub and fireplace. Families can enjoy boating, kayaking, fishing, golfing, hiking, biking and go-cart racing at Deep Creek Lake. And if you visit in late July or early August, the Annual Garrett County Agriculture Fair will be in town and the kids can check out the amusement rides and livestock exhibits. 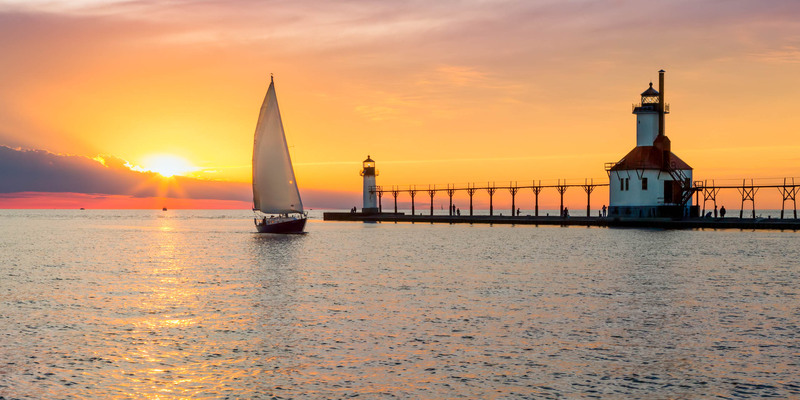 Visit Lake Erie near Sandusky, Ohio, for a chance to enjoy its 100 miles of beautiful sandy beaches, and thrills at its many water parks and the Roller Coaster Capital of the World, Cedar Point. Families can decide to vacation closer to the roller coaster action or Lake Erie views. Waterfront condos, cottages and houses are available as Lake Erie vacation rentals, many of which feature a pool, hot tub and fireplace. One-, two- and three-bedroom family lake vacation rentals are mostly available, but four-plus bedroom properties can be found as well. 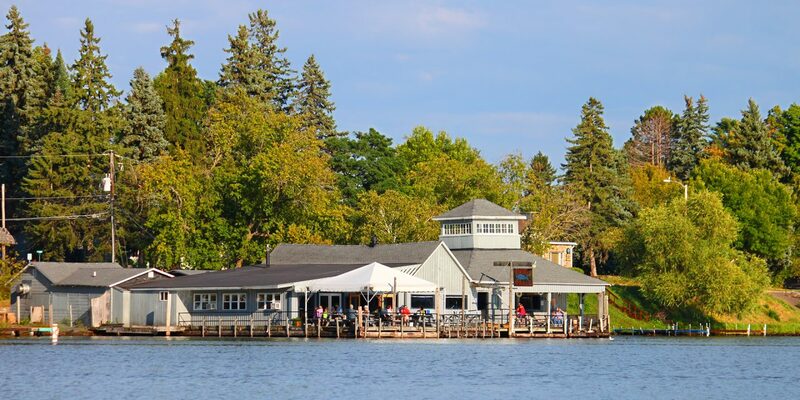 Visit Lake Michigan in Traverse City for a family lake vacation. The lake"s clear-blue waters will make families feel as if they are in the tropics rather than Traverse City. Kids will love playing at the beach, sailing, kayaking, biking and hiking. Visit in July and enjoy the weeklong National Cherry Festival, as the area is widely known for its sweet and tart cherries. Family Lake Michigan rentals with one, two or three bedrooms can be found in Traverse City, several feature a pool, hot tub or fireplace. Lakefront vacation rentals or lake views are widely available as well. With more than 60,000 acres of water on the man-made Lake of the Ozarks and 1,150 miles of shoreline, any water sport that interests you on a family lake vacation can be done here. Family Lake of the Ozarks rentals are mostly condos and single-family houses and many of the lake vacation rentals for families feature a pool. Lakefront houses or luxury condos with one to seven bedrooms can suit any family"s vacation rental needs. The man-made Big Bear Lake offers 22 miles of shoreline where families can swim, fish, hike, bike, or rent a boat or jet ski. Family vacation rentals at Big Bear Lake range from affordable to luxurious. Houses and lake cabins are mostly available vacation rentals and while they come in all shapes and sizes, there are several five- to nine-bedroom lake rentals for families available. More hot tubs and fireplaces are featured in the Big Bear vacation rentals rather than pools, but families can choose between lake or mountain views. Families who visit Minocqua will love the downtown area with its shops and eateries, along with the sandy beaches of Lake Minocqua, which offer plenty of water sports. Lake view and lakefront family vacation rentals with one-, two-, three- and more bedrooms are available. 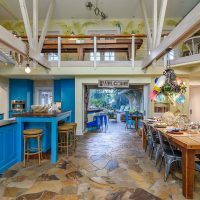 The rental properties offered are mostly cabins or houses and a family vacation rental with a pool may be hard to find. But who needs a pool when there is a giant lake only steps away? Sometimes called the "Sixth Great Lake," Lake Champlain offers plenty of outdoor family activities, from fishing to biking. No matter how many people are in your family, a family lake house rental is easy to find here. Lake cabin rentals, cottages and houses are available at Lake Champlain, with anywhere from one to seven bedrooms. A pool is featured at some of the properties, but many of the properties available are lakefront vacation rentals or those just a few blocks or steps to the beach. 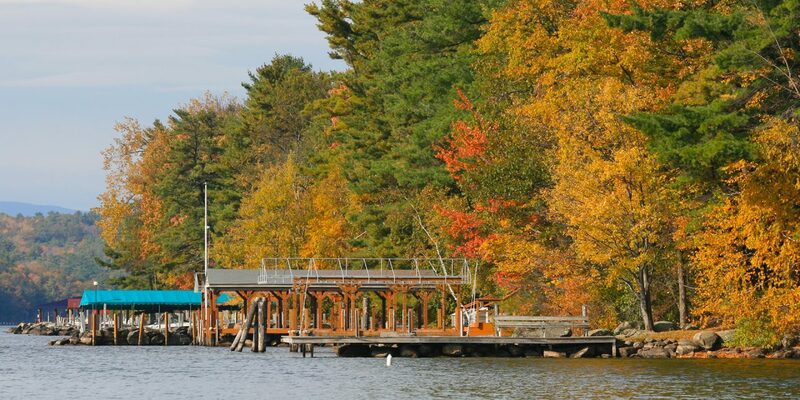 The family lake vacation rentals on Lake Winnipesaukee, also known as Lake Winni, offer a wide variety on size, price and type of lake vacation rental. Lake cabins, bungalows, cottages, a farmhouse, townhouse or single-family house and even a castle (think modern-day castle, not royal castle) are available for rent. Many properties are lakefront and offer a pool, fireplace and magnificent views. On a Lake Winni family vacation, everyone can enjoy boating, playing in the sand or visiting an amusement park.